Has a Nissan Sentra ever gotten your attention, or does it drift unnoticed across your line of sight like those little floaters some people get? 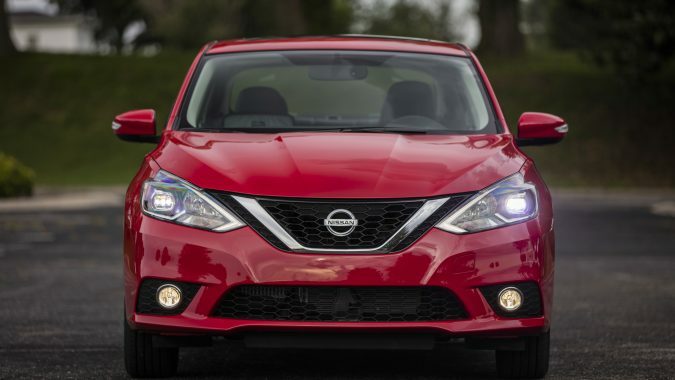 For an automaker that’s never been shy about taking risks – consider SpongeBob’s Cube and the contrarian Juke – Nissan has been uncharacteristically conservative when it comes to its compact sedan. So much so that the Sentra has been relegated to the sidelines of this hotly contested segment. It wasn’t always this way. When it debuted in 1982, the Sentra became the best-selling import in the U.S. and the fourth bestselling car overall that year. 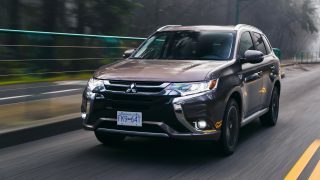 It used to be a big (little) deal back in the 1980s and 1990s, a competitive model that was considered the equal of the Honda Civic and Toyota Corolla, a sturdy econobox that could take a licking and keep on ticking. 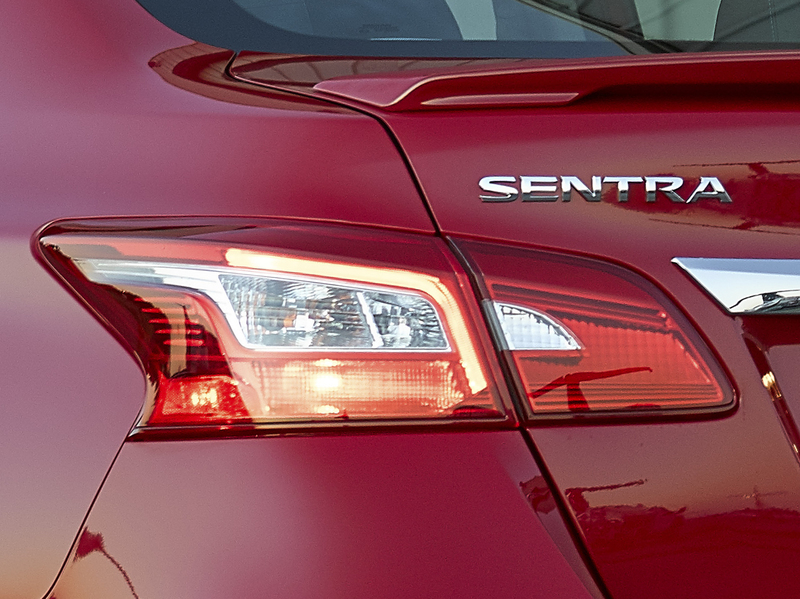 However, the previous-generation Sentra was outmaneuvered by its competitors in terms of design, features and performance. Same goes for the present-day model. And used Sentras sell at a discount. So, what gives? 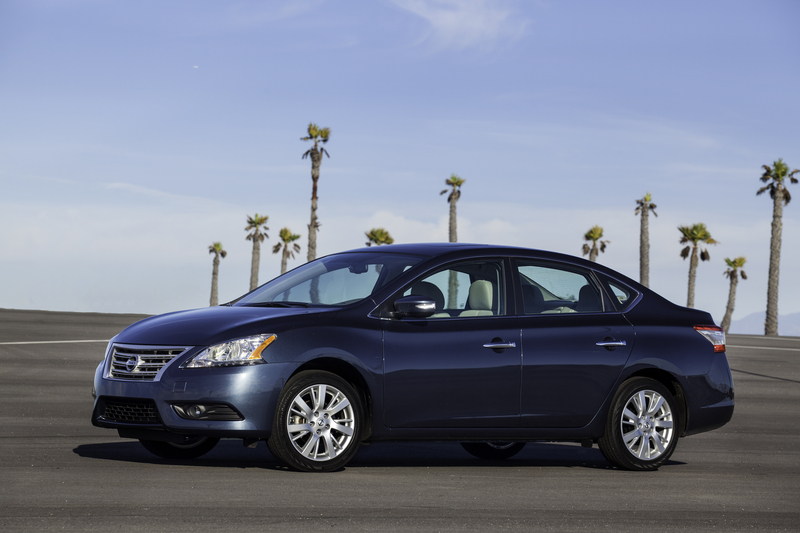 Redesigned for the 2013 model year, the seventh-generation Sentra rode on an all-new front-drive platform. Offered only as a four-door sedan, overall length grew by 5 centimetres, yet the car was about 70 kg lighter than before thanks to the weight-saving chassis. 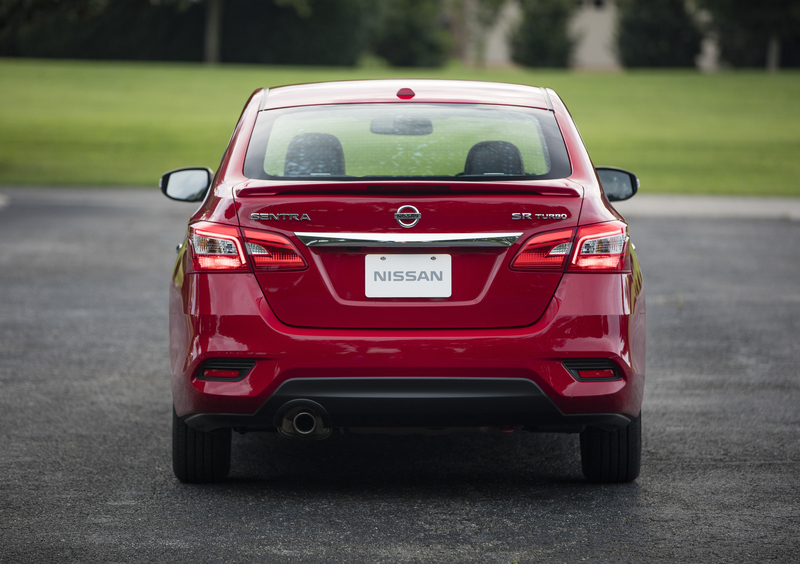 With the sales success of its midsize Altima sedan, Nissan designers decided the Sentra would benefit from the same grown-up styling, so the car’s profile, grille and LED lighting were made to replicate the bigger sedan’s premium cues. The upscale sentiment is evident to the cabin, too, which features a handsome design and higher-quality materials. 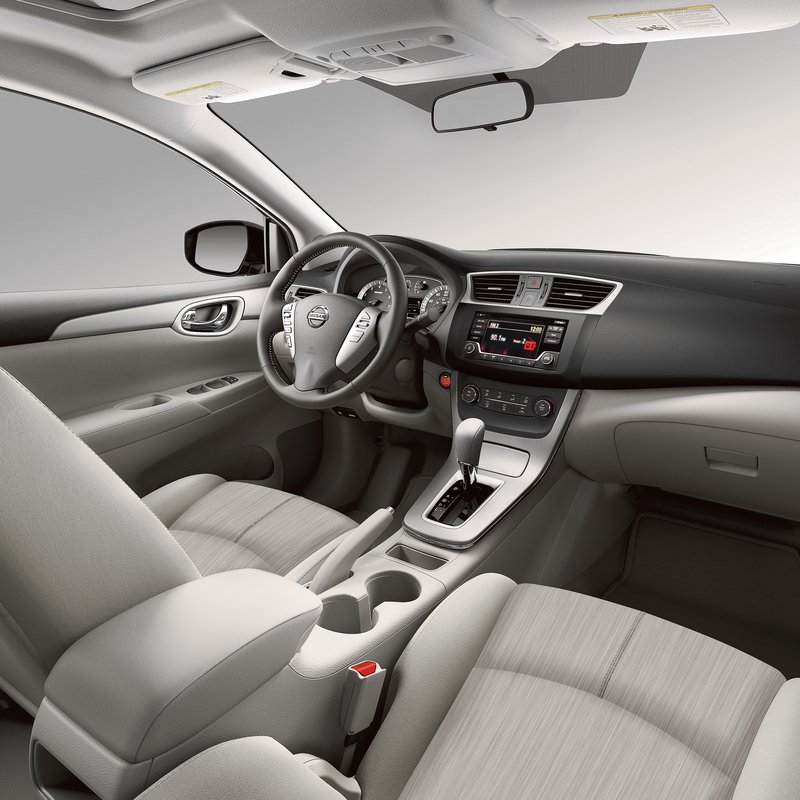 Rear-seat passengers get 7 cm of additional legroom, making the Sentra one of the most spacious cars in its class. 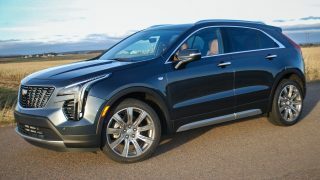 But while there’s more rear passenger room and a generous trunk, headroom is a little restrictive for taller occupants and the front-seat bottoms are too short for good thigh support. The steering column’s telescoping range is limited, which further limits accommodating adjustments. 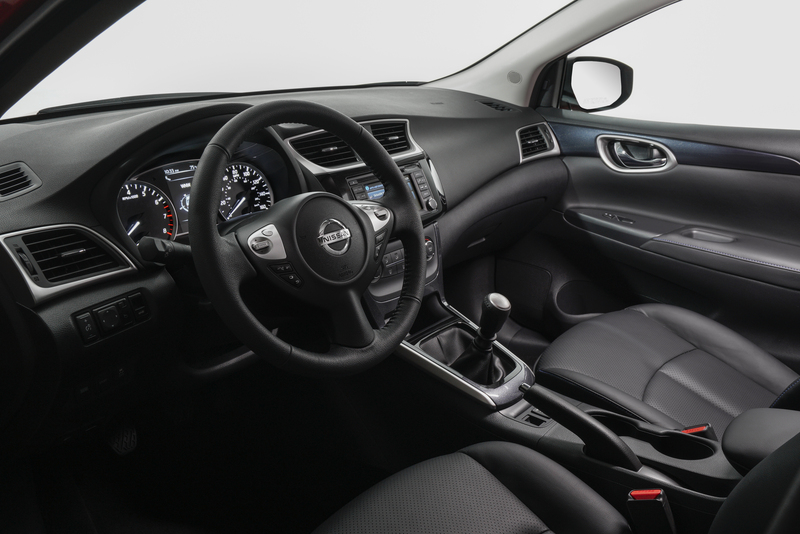 At least the instrument controls are ergonomically designed and intuitive, and the optional NissanConnect touchscreen infotainment display is a pleasant upgrade in what is supposed to be an economy car. “It’s very roomy, especially the back seat and trunk. Almost as roomy as an Altima. 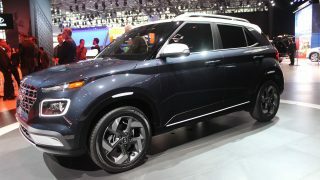 I love the car as it feels more premium than it costs,” writes the owner of a 2016 model online. 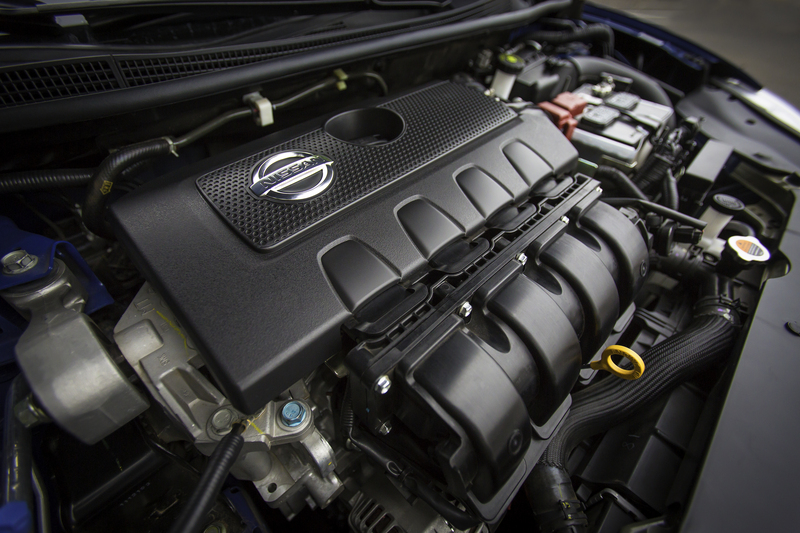 Despite the luxury overtures, the Sentra is on a mission to save money and fuel, something that’s obvious by peeking under the hood. 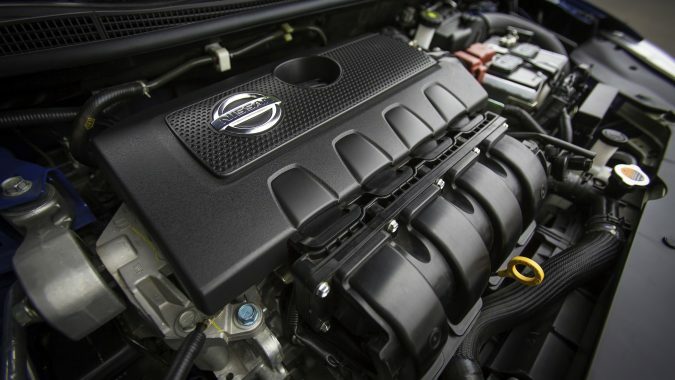 The 2013 models adopted Nissan’s all-aluminum 1.8-L DOHC four-cylinder instead of the previous 2.0-L unit. 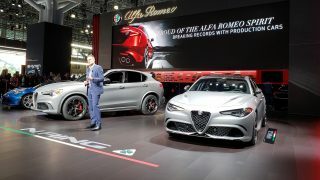 Producing 130 horsepower and 128 lb-ft of torque, the new engine uses a twin variable valve-timing system on both the intake and exhaust valves and employs a diamond-like carbon coating to reduce friction. 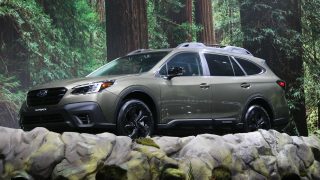 The base model made do with a standard six-speed manual gearbox, while every other trim level came with a newly revised continuously variable (CVT) automatic transmission. Many Sentras wore standard rear drum brakes, although rear discs are an option in higher trims. 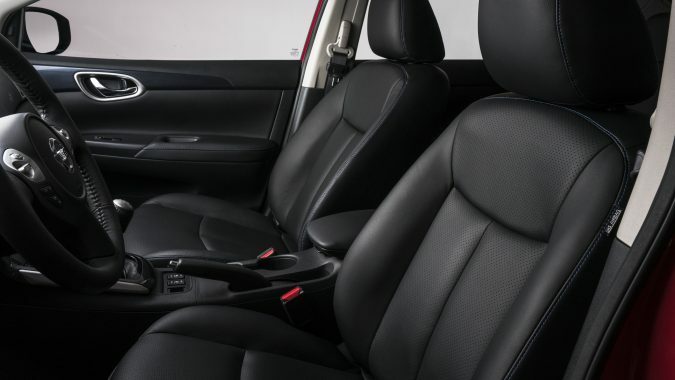 All models feature antilock brakes, stability control, front-seat side airbags and full-length curtain airbags, as well as active front head restraints. 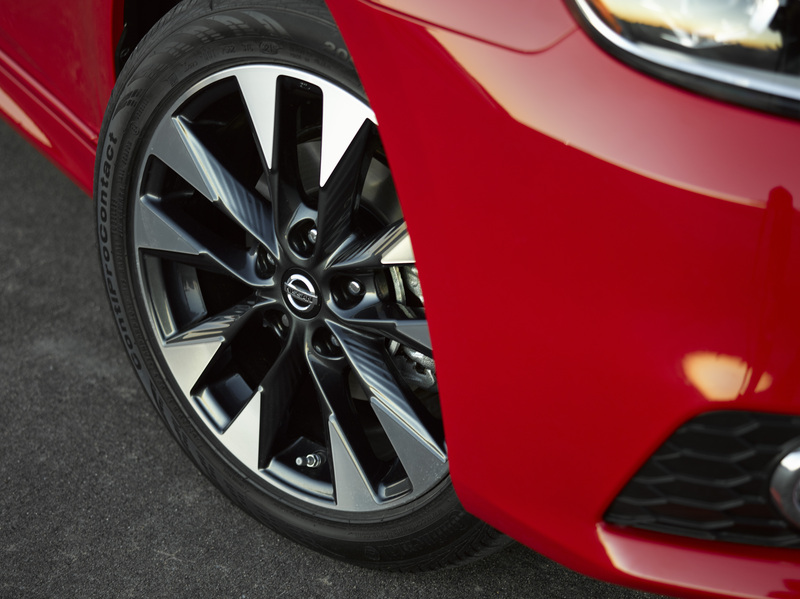 In U.S. government crash tests, the Sentra earned an overall rating of four stars out of five, with four stars for total frontal impact protection and five stars for side-impact protection. 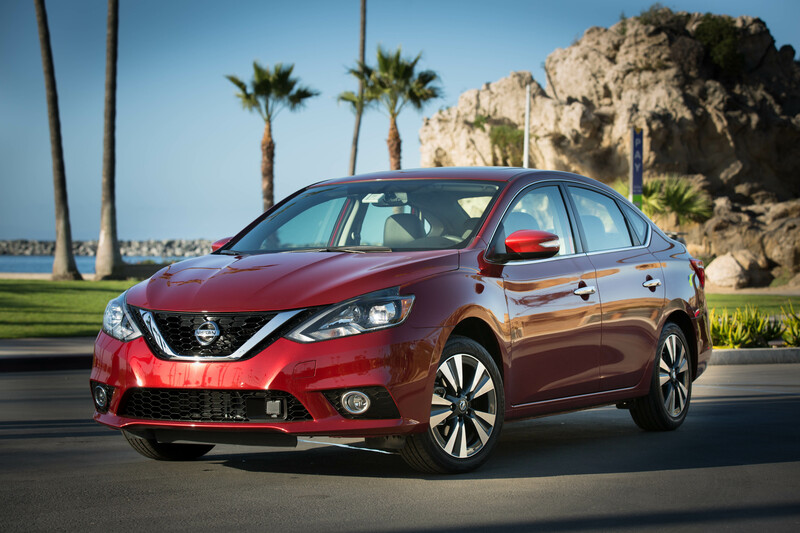 Nissan embarked on a program of continuous improvements for the Sentra starting with the 2014 model year, which included numerous hardware and tuning changes to reduce noise and enhance the ride and handling. The front seats were also revised for better comfort. 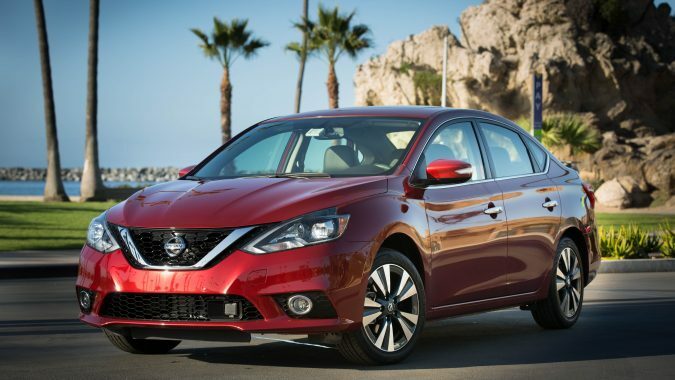 Nissan modified the 2015 models’ front structure to improve crash safety and lengthened the side airbags. 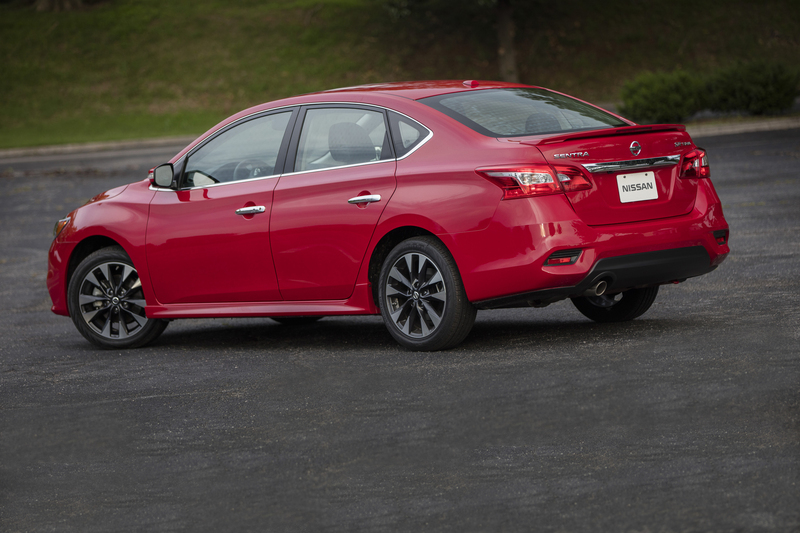 The Sentra got a styling refresh for 2016, picking up front and rear design elements from the larger Altima and Maxima sedans. A new steering wheel and some updated dashboard elements, including a high-resolution information display, completed the renovations inside. Engineers finally introduced a second engine to the Sentra lineup in 2017, but it was restricted to one model: the new SR Turbo. It got the same turbocharged 1.6-L four-cylinder from the wacky Juke crossover, which put out 188 hp and 177 lb-ft of thrust, mated to a six-speed manual or a specially calibrated CVT with manual-shift mode. 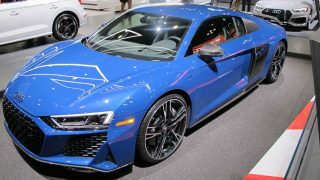 The SR Turbo also earned a sportier suspension with firmer shocks, larger brakes and revised electric steering. 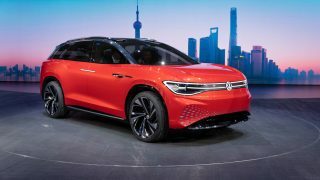 Hamstrung by an undersized engine (save for the SR Turbo), acceleration has been called underwhelming and the numbers bear that out: Zero to 97 km/h takes 9.5 seconds, or about half a second longer than the most basic entry-level car. At least drivetrain noise is muted while accelerating moderately and cruising at highway speeds. The CVT displays little of the “rubber-banding” effect some of these transmissions suffer from. Impatient types might want to sample the SR Turbo; it manages to sprint to highway velocity in 7 seconds flat (with the manual transmission), which puts it within spitting distance of some popular turbocharged compacts. Unfortunately, and despite the engineers’ best efforts, the non-turbo Sentra models exhibit prominent body roll, the steering rack provides little in the way of feedback, and some drivers have noticed unsettling lane wander at times. 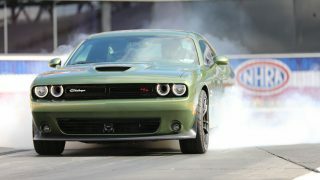 “This car is great for a new driver or a commuter, but not for high speed travel or busy city driving. Seriously has the worst pickup. 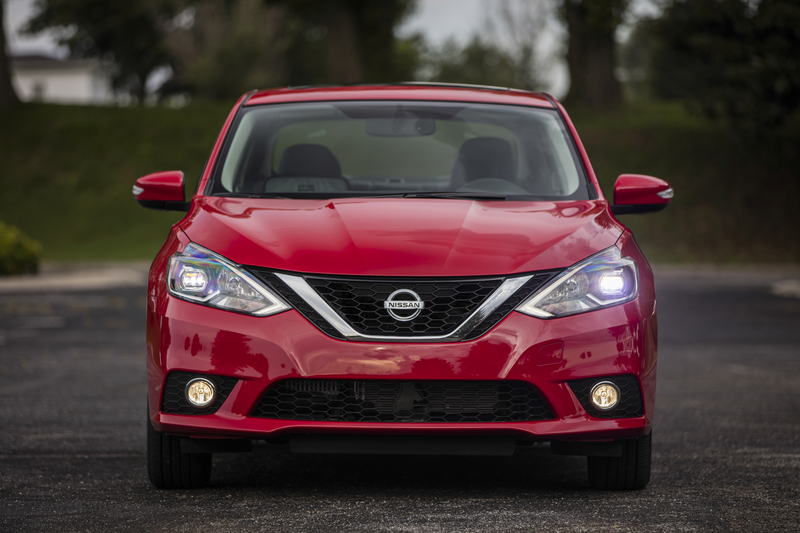 Handling and suspension is okay, (but) was definitely expecting more from Nissan,” reads an online remark from a 2014 Sentra owner. 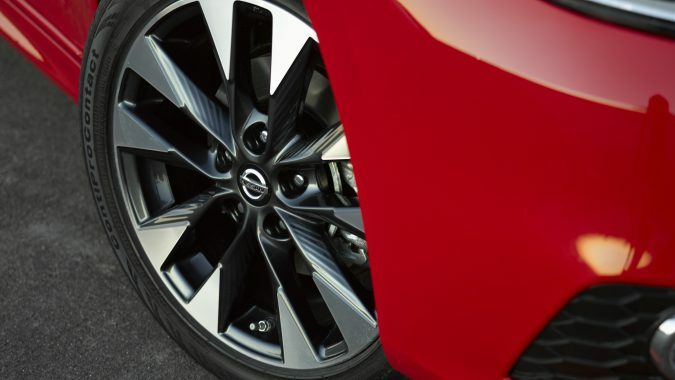 The Sentra amounts to a milquetoast effort that appeals to those looking for basic transportation, but there are numerous small cars that offer a better ownership experience (the Mazda3 comes to mind). 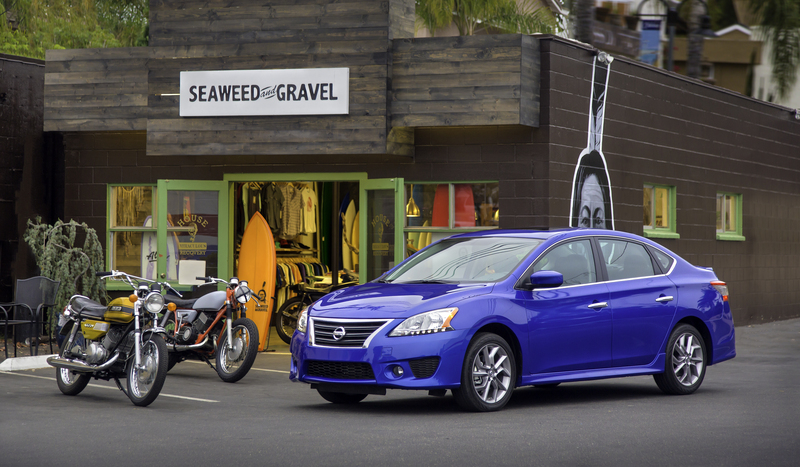 One redeeming quality is the Sentra’s ability to covet gasoline and burn it wisely. It’s not hard to hit 50 miles per gallon (5.7 litres/100 km) on the highway with a light foot, thanks to the CVT and the 1.8-L four, both of which are tuned for economy. 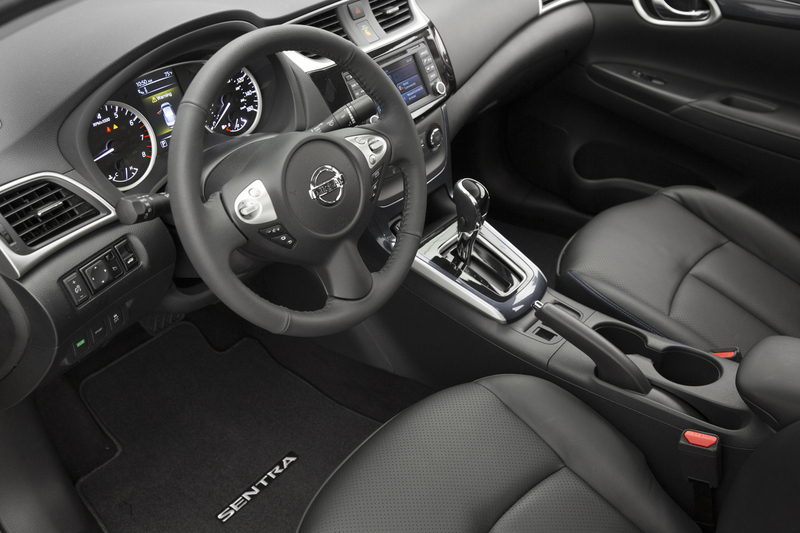 Buyers like the Sentra’s value proposition: a roomy compact with a pleasant ambience inside, a smooth and quiet ride, and just enough features and refinement to keep most shoppers happy with their choice. On the downside, the standard engine is underpowered, the handling is uninspired and the cost cutting becomes evident if you look closely enough. 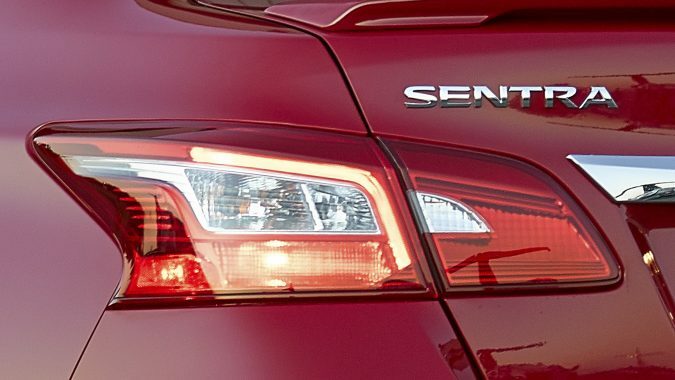 On the reliability front the Sentra has a history of being durable, but its reputation took a hit once Nissan began installing CVTs in its cars in 2007. The mechanism, which essentially amounts to a steel belt working between two conical pulleys to produce a near infinite range of gear ratios, is not always dependable. “At 40,000 km the transmission died while my wife was driving. So they replaced the transmission, and now 80,000 km later, this one is dying an ugly death,” reads a not uncommon complaint by a 2013 Sentra owner. Troubling CVT warning signs include juttering and slipping at lower gears, a high idle speed and some nasty rattling sounds. 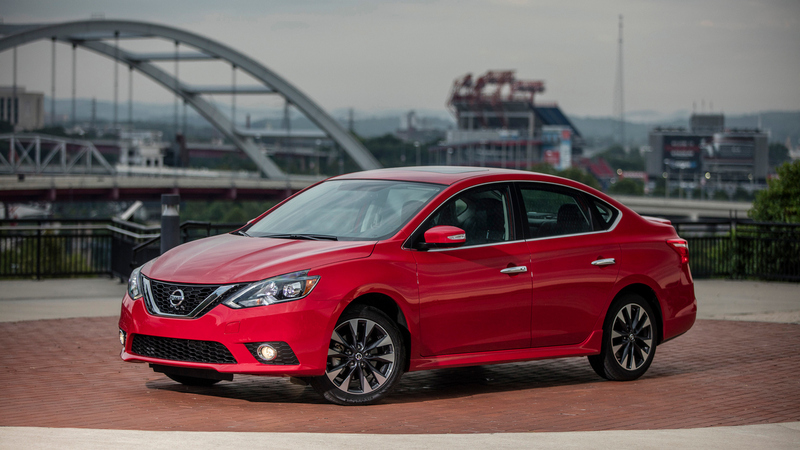 Nissan reworked the CVT for 2014, and we noted far fewer transmission failures after the 2015 model year. But beware: Sentra owners continue to report CVT failures at high mileage – typically at 150,000 km or more. It’s important to note that the transmission fluid must be changed at the recommended intervals by an authorized dealer. Nissan does not repair CVTs; replacement is the only remedy. 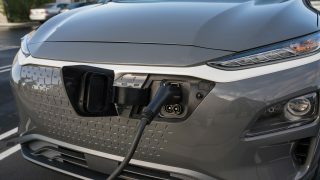 Budget more than $4,000 for a new unit after the five-year/100,000-km powertrain warranty expires. 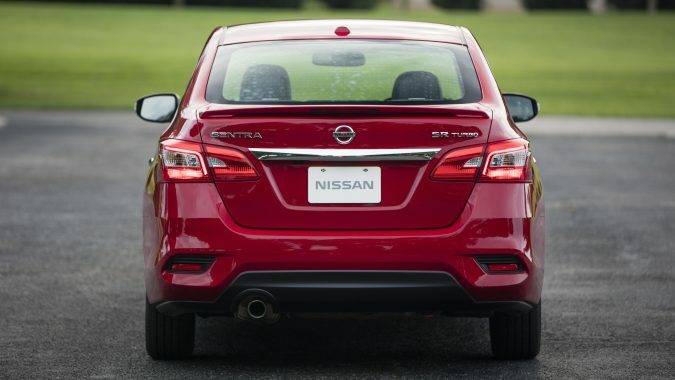 Other Sentra weaknesses include a faulty master brake cylinder that can crack and leak, resulting in a weak brake pedal. 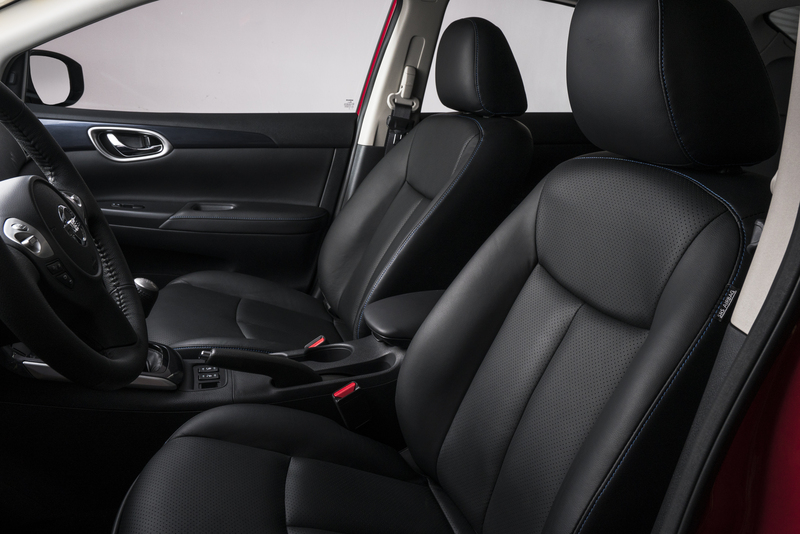 The occupant classification system may incorrectly identify the front passenger seat as empty, when it is occupied by an adult. This will disable the airbag, creating a safety hazard. Poor-performing air conditioners, fussy door handles and noisy brakes round out the gripes. Overall, Nissan delivers a decent econobox at a good price point, and it’s an even better bargain when cross-shopped with popular used cars like the Civic and Corolla. Given the advantageous pricing, look for a 2016 or newer model and consider trying one with a manual transmission, which is a surprisingly smooth operator.